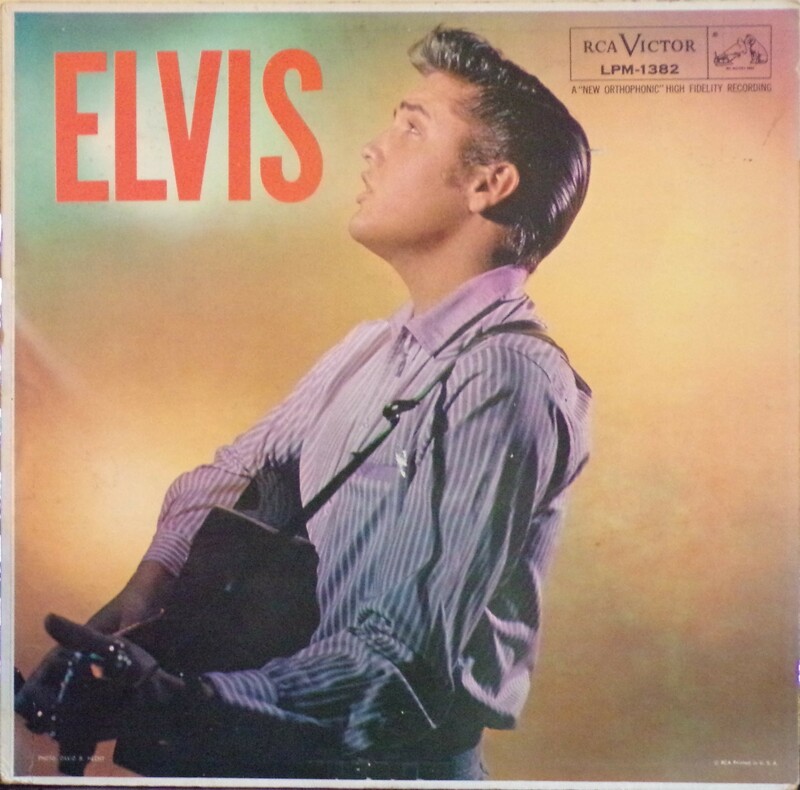 Elvis is the second album by Elvis Presley, released on RCA Victor in mono, LPM 1382, in October 1956. 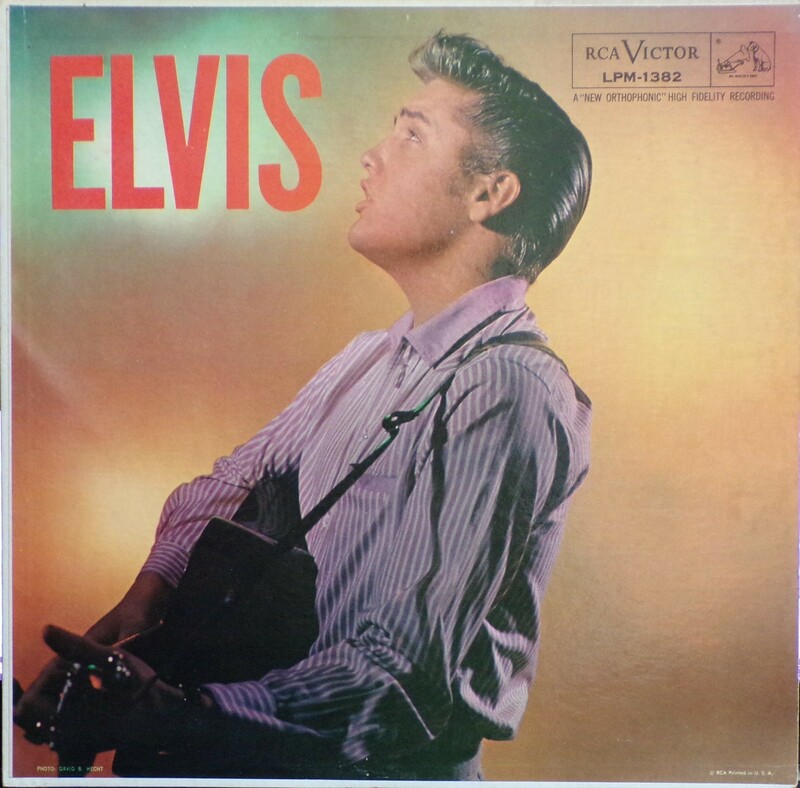 Recording sessions took place on September 1, September 2, and September 3 at Radio Recorders in Hollywood, with one track leftover from the sessions for Presley's debut album at RCA recording studios on January 30 in New York. It spent four weeks at #1 on the Billboard Top Pop Albums chart that year. It was certified Gold on February 17, 1960 and Platinum on 8/10/2011 by the R.I.A.A. 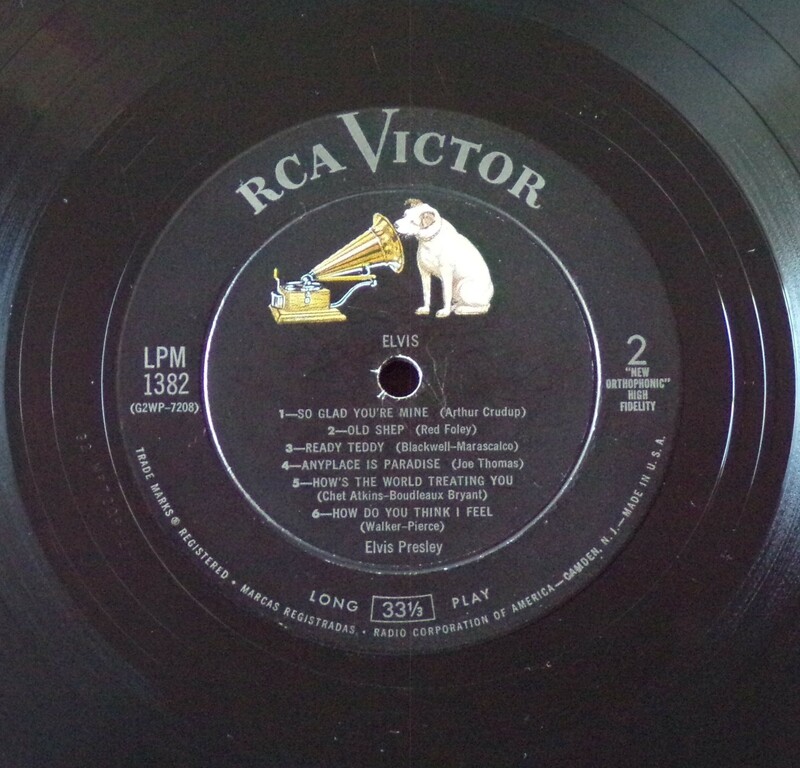 RCA executive Steve Sholes had commissioned two new songs for this batch of sessions, "Paralyzed" from Otis Blackwell, and "Love Me" from Jerry Leiber and Mike Stoller, the authors respectively of both sides of Presley's monster summer hit of 1956, "Don't Be Cruel" backed with "Hound Dog," the first record to top all three of the Billboard singles charts then in existence: pop, R&B, and C&W. 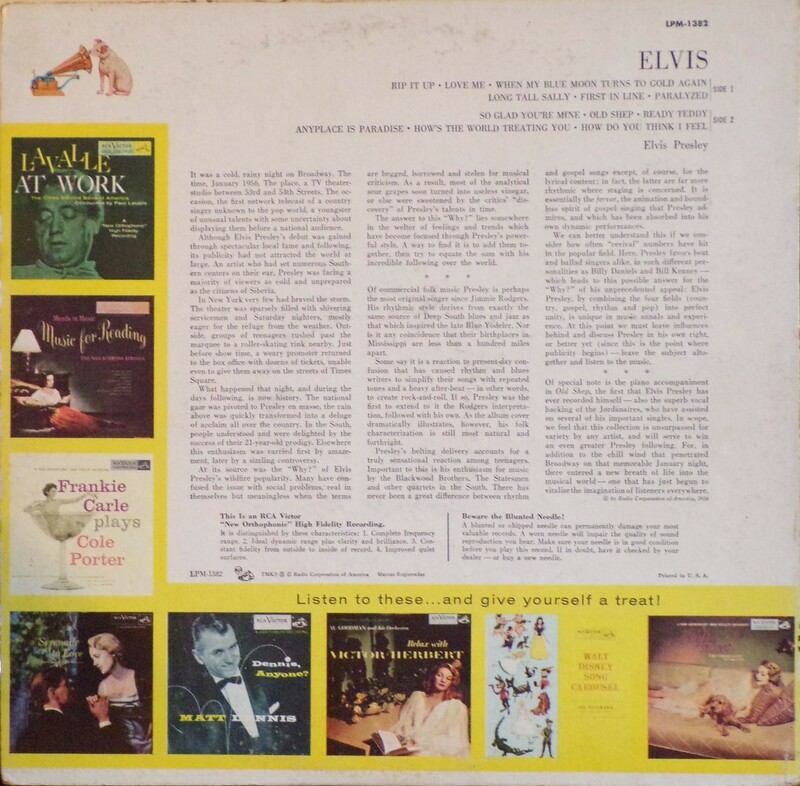 Presley decided upon three Little Richard covers, and selected three new country ballads respectively from regular Everly Brothers writer Boudleaux Bryant and guitarist Chet Atkins, Sun staff musician and engineer Stan Kesler, and Aaron Schroeder and Ben Weisman. The latter two, contracted to the Colonel's publishing company, Hill and Range, would write dozens of songs for Presley through the 1960s. 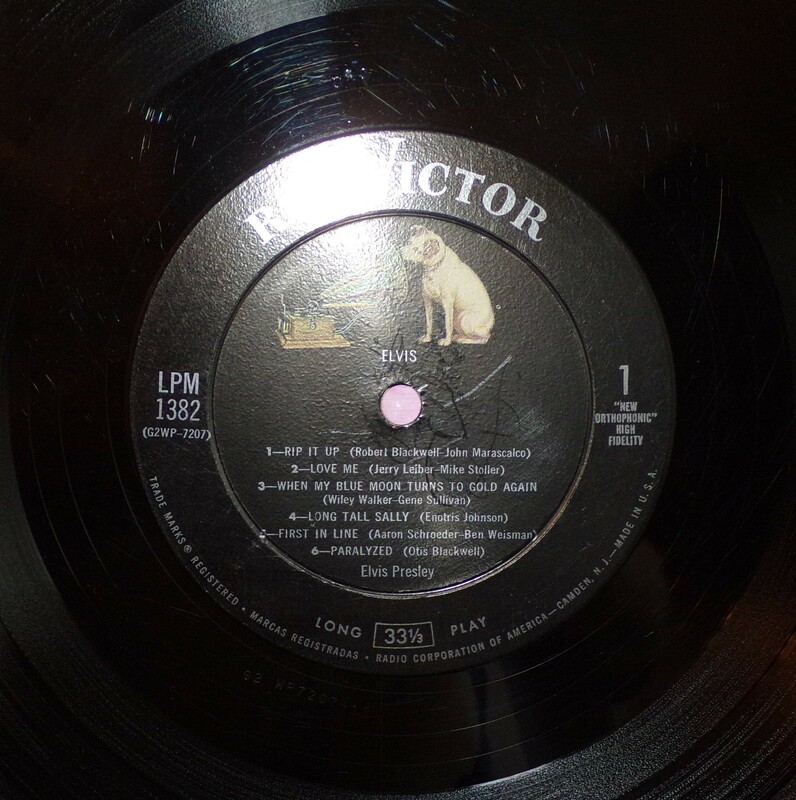 Also included was the song with which Presley won second prize at a fair in Tupelo when he was ten years old, Red Foley's 1941 country weeper about a dead dog, "Old Shep." With all but one track on the album recorded at a single set of sessions over three days in September, Presley and his touring band of Moore, Black, and Fontana, along with The Jordanaires, managed to recreate the loose feel from Sun Studio days, mixing rhythm and blues and country and western repertoire items as they had on all of his Sun singles. They reinforced this effect by including material echoing his very first Sun record: a blues by Arthur Crudup, author of "That's All Right (Mama);" and a song recorded by bluegrass founder Bill Monroe, "When My Blue Moon Turns to Gold Again." The sessions were attended by a few outsiders, namely his current girlfriend at the time, actress Natalie Wood and actor Nick Adams, both of whom had starred in Rebel Without a Cause, Presley's favorite James Dean film. No producer was officially listed for the album sessions, leading to the belief that Presley himself produced them. A day before the initial release of the album, Presley got into a fight with a 42-year old gas station manager named Edd Hopper. They were charged $52, along with another person named Aubrey Brown who got into the fight as well. This incident didn't affect the release of the album whatsoever. Front Cover : Early 50s Elvis photo. Catalogue number top right. Logo top right. Bottom left says "Photo: David B. Hecht. 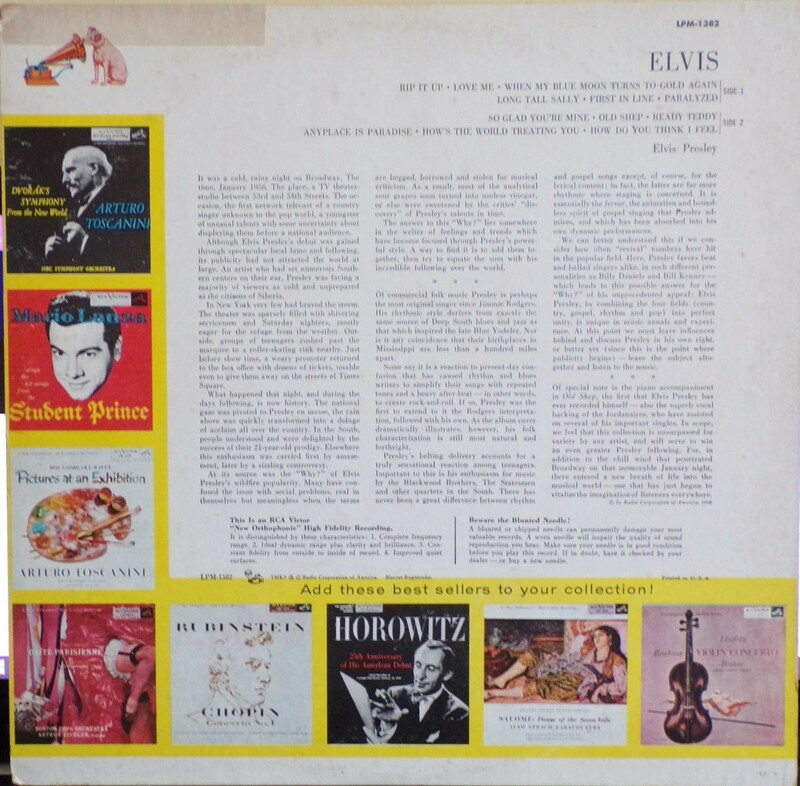 Bottom right has Printed in U.S.A.
​Rear Cover : catalogue number top right. 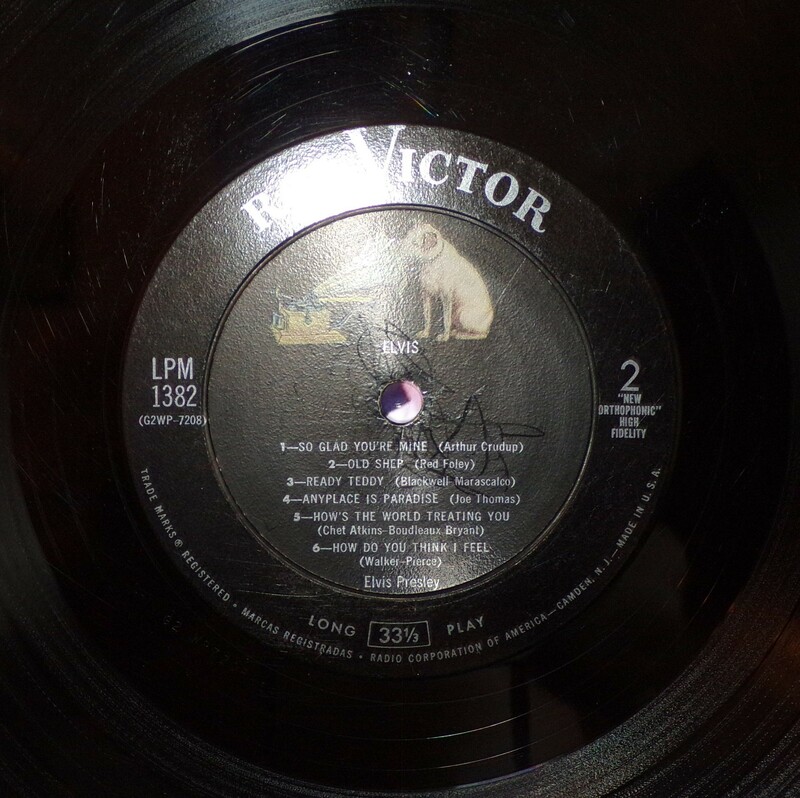 8 photos of other RCA releases. "Salome" second from bottom right. Highligted in yellow "Add these best sellers to your collection ! Also has "LP 9" very bottom right corner. ​Rear Cover : catalogue number top right. 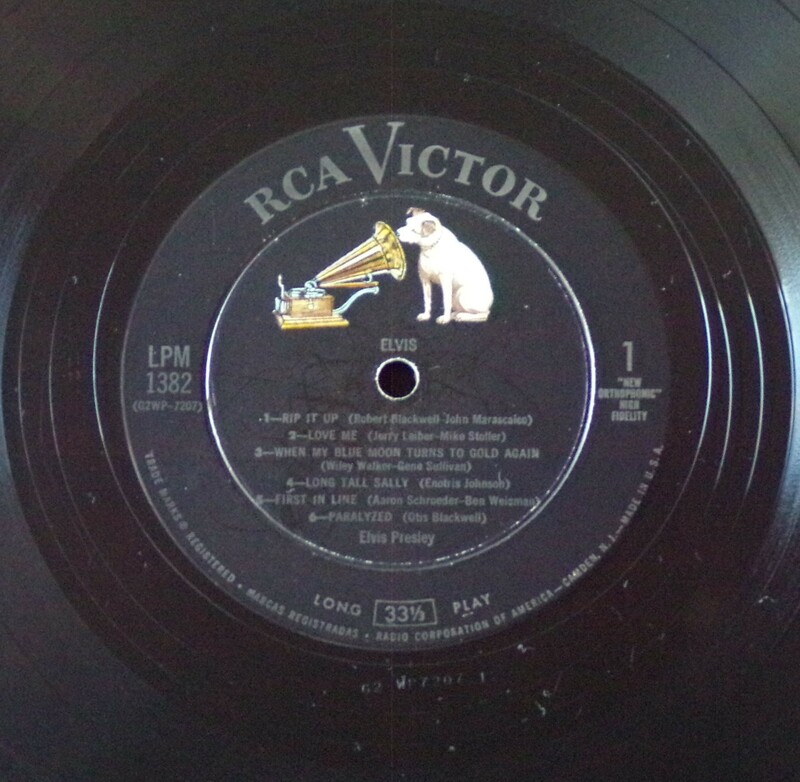 8 photos of other RCA releases. "Walt Disney" second from bottom right. Highligted in yellow "Listen to these...and give yourself a treat !